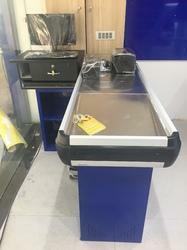 We are a leading Wholesale Trader of grocery store cash counter table, commercial cash counter and express cash counter from New Delhi, India. 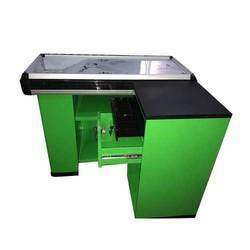 We are the leading provider of Grocery Store Cash Counter Table. These products are identified amid patrons for their noticeable features such as longer life, durability and nominal cost. Owing to our affluent industry acquaintance, we present Commercial Cash Counter. In addition, experts check these products on diverse industry parameters to ensure the sturdy nature. Application Supermarket, Retail store, Grocery store etc. We are a leading entity, occupied in presenting a wide range of Express Cash Counter. Furthermore, our customers can avail these products from us at reasonable prices.